Borte Construction Co.,Inc. has designed and built the most distinctive luxury homes in Virginia. Integrity,commitment and innovation are synonymous with our record of fine homebuilding. In order to maintain the exceptional level of quality, both beneath the walls and in the unparalleled finishes, we create only three to four custom-design-build projects each year. designed to take advantage of its particular surroundings, incorporating all of the owners’ dreams and specifications. The finished homes always command eye catching street appeal, and artistically incorporate space and function to provide maximum livability. These homes are built for long term satisfaction and appreciation, utilizing the best practices, methods, resources and green building technology. Our team of talented craftsmen always strive for excellence and unmatched personal service. 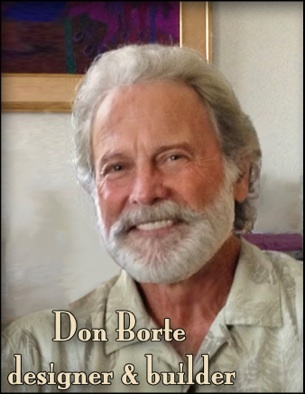 Don Borte has earned recognition by Professional Builder Magazine as one of the top 100 luxury homebuilders in the United States. Home Plans,Construction Management and ICF Concrete Homes are also available. Please call to schedule an appointment for your personal consultation.